I am a huge fan of Sherlock Holmes. I've read a bunch of the original stories, watched adaptations...there's so much out there based on this iconic investigator. 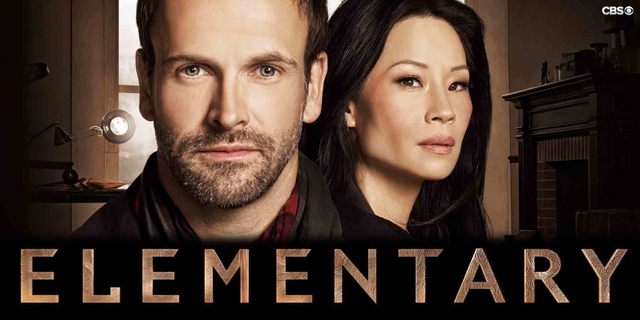 But the question remains as to what my favorite adaptation is, and for that I'd have to say...Elementary. It gets to the point better. While I do enjoy the little fandom things in Sherlock, it's easier to feel engaged watching Elementary. Maybe I do have a terrible attention span like most American teenagers, but I think the writing is just...tighter. 2. It allows more time for story arcs. Elementary allows for a more natural progression of story. When I watch Sherlock, it always feels awkward (even though the episodes are longer) because the story arcs almost come out of nowhere and disappear just as fast. It can become confusing at times. 3. I like Sherlock himself better. Sherlock is still the detective we all know and love, but the big difference here is that he changes and grows and learns from his mistakes. He's still blunt and straight-forward, but he learns that he can't always get away with that. He learns to be a nicer and more thoughtful person. Yes, it's a struggle and he doesn't stop being, well, Sherlock (which is a good thing), but character development. 4. Watson isn't a passive character. Holmes trains Watson to be a private investigator and consultant and as the show progresses, she takes on cases by herself. She's smart and competent. 5. Even though Watson is a woman, she doesn't get turned into just a love interest. I've never watched Elementary, but I've grown very attached to the BBC version. There's still character development in BBC's Sherlock. I feel like if you're going to remake such an iconic figure that you need to keep the feel of the original. Putting a classically British character into modern day is fine, but putting him in modern day America is a bit of a stretch. Also, from what I've heard, Elementary's Sherlock doesn't solve things as fast as the original Sherlock. Conan-Doyle's Sherlock could make deductions in the blink of an eye, unless the thing was exceptionally difficult. 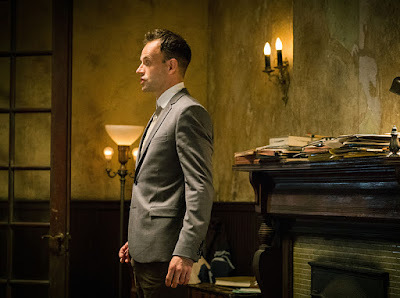 I think I would like Elementary better if it hadn't been based on Conan-Doyle's books. It's probably a great detective show, but it doesn't really have the same effect as the books. Thanks for the comment! I enjoy both shows a lot, so I'm definitely not trying to criticize people for liking Sherlock at ALL. Remaking characters can definitely be hard! But with such an iconic character, it's almost akin to a musical or play, everybody has a different take on it. For example, if I were watching Wicked, I wouldn't want someone who is trying to be exactly like Idina Menzel to be Elphaba. I'd want someone with a different, but equally valid, take on it. Of course, there comes a point when someone is truly out of character, but I think that different adaptations call for different aspects of a character's personality to be highlighted. Elementary, for me, is the answer to a question. What if Watson was a woman? What would the character dynamics be? What if it is was set in New York, but Sherlock was still British? How can we make the characters true to the original story while asking new questions and going places they haven't gone before? I don't think it was ever meant to be a strict interpretation of the source material. I wouldn't say Elementary's Sherlock solves things slower, I would say that we don't see the goings-on in his brain until later. It's more of a difference in the style of the show than a character thing. I am not trying to start an argument in any way. If I said something that was out of line, just let me know. I'm in the minority too! :) I like both, but Elementary is my favorite TV adaptation of Sherlock Holmes. I'd just started watching BBC Sherlock shortly before Elementary premiered, and just found that I liked the latter better. While it doesn't follow the storylines of the stories and novels in the same style as BBC, the writers bring some fun and different twists to the stories. Yes! I agree. It's something new, with different sides of the characters and stories being explored. Sherlock's recovery storyline has always been one of my favorite parts of the show as well. :) He's a very complex character and they add so many different layers to him that I think maybe weren't there in the original stories. I agree! Joan is her own character, but at same time everything you'd expect Watson to be as a female. AHHH I SO AGREE AND I'M SO EXCITED TO FIND SOMEONE ELSE WHO LIKES ELEMENTARY BETTER! :D My favourite Sherlock adaptions are still the RDJ and Jude Law movies. But. This is my second favourite pick (waaay over the BBC version.) I love how it's not romantic and how Watson actually DOES stuff and is just so epic and does NOT get walked over and how Sherlock really is super super clever. I actually didn't watch the 3rd season though, because I couldn't handle that their relationship had gone to the dogs. So. :( I probably will finish one day?? I love the first two seasons SO SO MUCH. I JUST...I love it sooo much. EVERYTHING YOU SAID ABOUT WATSON. And I love how Sherlock actually has emotions, even if they are buried under a lot of baggage and dust. I think he understands humans a lot more than BBC's Sherlock, even if he doesn't act like them. AND I LOVE HOW THEY'RE BOTH SMART. I haven't seen Elementary, but I've heard a lot of criticisms just because they thought it was a way to make the Sherlock/Watson relationship a heterosexual romance. But... now that you've told me all this, I think I want to give Elementary a try! There's absolutely no romance between them! :D It's great.